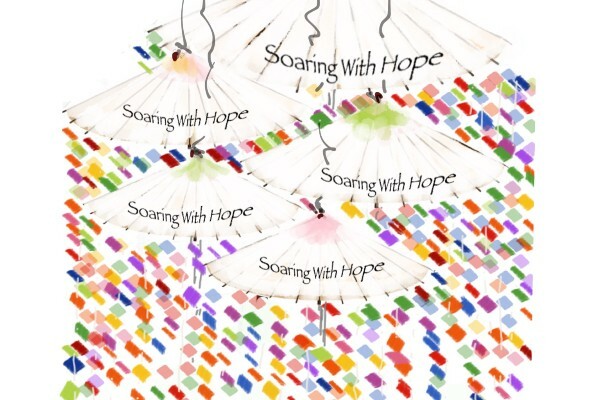 Soaring With Hope for PD is an amazing art project to raise hope and awareness for Parkinson's globally. We are gathering your WORDS OF HOPE from people with or impacted by Parkinson's. So far we have received messages of hope from 39 countries. Goal: 10,000 hand folded cranes with messages of hope written on each crane. We are planning to take the final art project to the next WPC World Parkinson Congress which will be in Kyoto Japan June 2019. Our goal is to have 10,000 cranes representing the people of Parkinson’s and their WORDS OF HOPE from multiple countries and make an impact to raise awareness internationally. Each folded crane will include a MESSAGE OF HOPE from a person with or impacted by Parkinson’s.